Senior Digital Marketing Manager + Ninja Turtle (based on pizza intake). While working for Waterloo's software giant OpenText, I collaborated with product marketers to gain an understanding of our offerings, then wrote web copy based on brand voice, usability standards, and SEO best practices. Usually product marketers had a specific message they wanted to get across and it was my job to ensure that both the technical benefits and practical features came through. 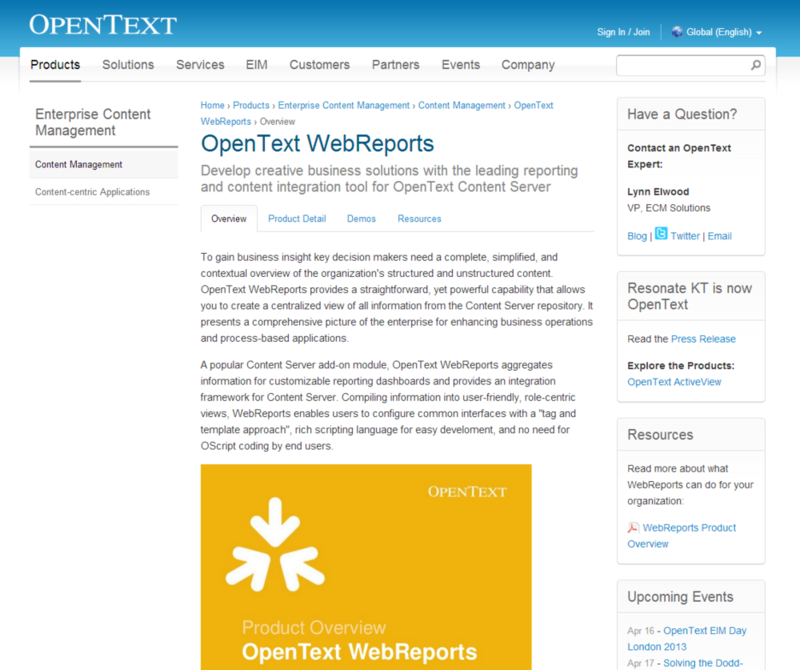 This copy was written to support the OpenText WebReports UK launch. To view the page live, click here. Similarly, I also wrote the material for the ActiveView page here. The gallery below features pages I wrote and staged for global product launches. 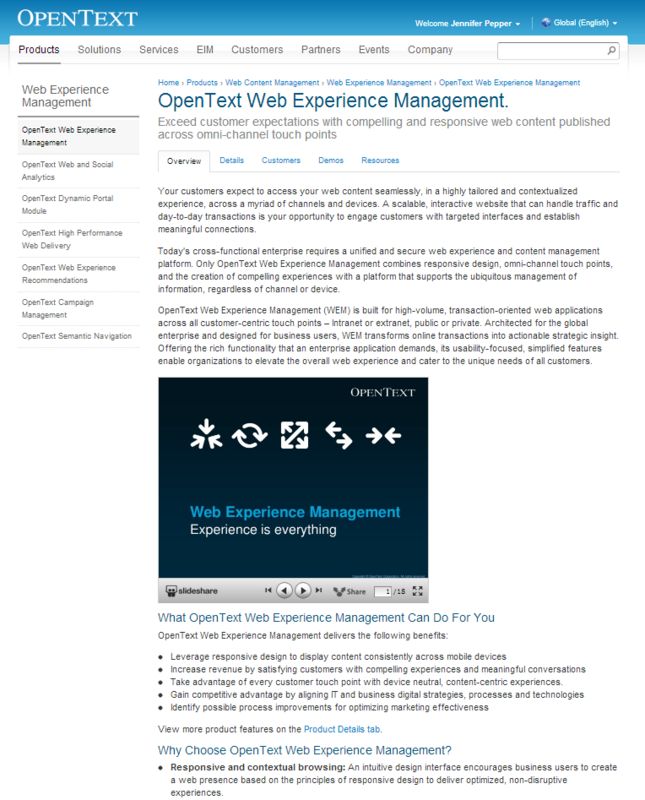 I collaborated with a senior marketing manager to develop the content of the following thought leadership SlideShares about Digital Asset Management and OpenText ActiveView.